Tendring Council are putting forward some possible development in the 'Salary Brook Valley' - to the West of Wall's Wood - but by far the majority of their proposals of possible development are near the top of the ridges or over the other side. This can be seen in the maps referenced in my 12 and 15 July 2014 posts, and also by comparing with the Ordnance Survey map available on Bing Maps (Click Here for Bing Maps of the area), where the contour lines of the valley can be seen. The reason for this is that the Tendring Council part of the 'Salary Brook Valley' is partly-covered by Churn Wood and Wall's Wood, which are ancient woodland and cannot be developed. 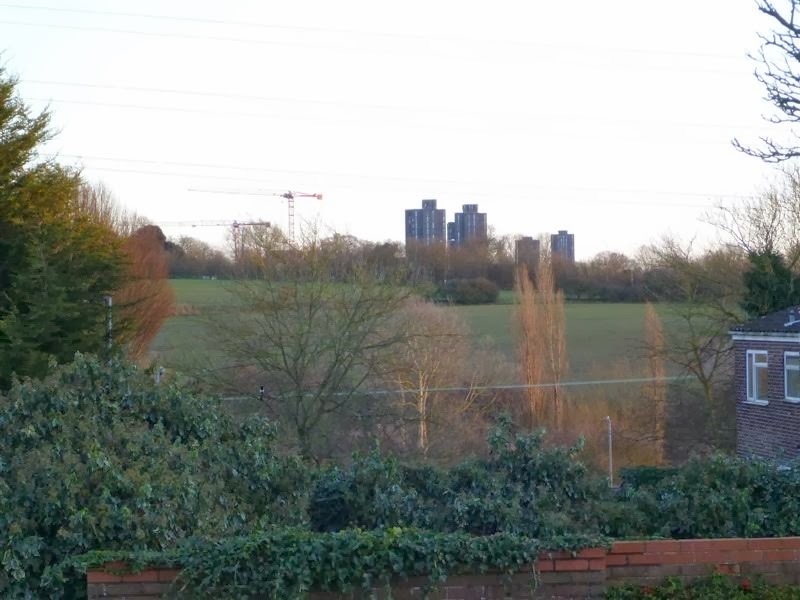 Most of the undeveloped part of the Salary Brook Valley which might be developed - near Greenstead and Longridge Park, and North of Bromley Road - comes under Colchester Council, according to the maps referenced above. So asking Tendring Council not to develop in the valley is not asking them to change too much! 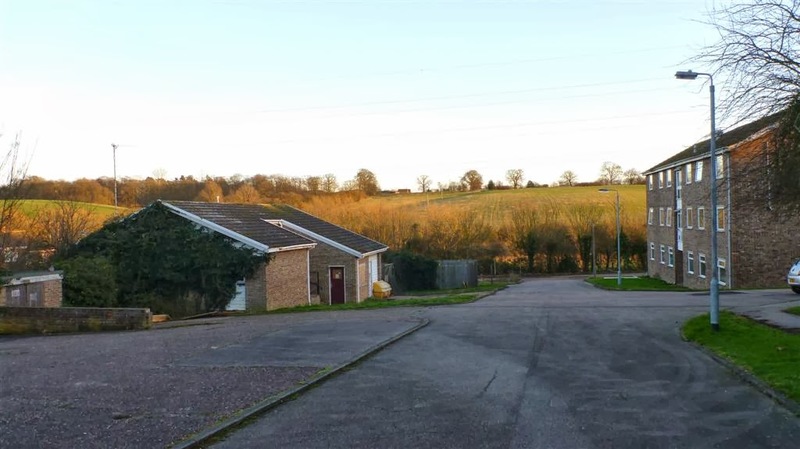 Some strong objections may need to be made to keep any Tendring Council developments out of their part of the 'Salary Brook Valley', and further away from it. However, having seen the maps referred-to in my 15 July 2014 post, it seems Colchester Council may be an equally, possibly more, important focus of objections, if and when the time comes. I think the statement in the newsletter 'The above suggestion seemed well received both in Colchester and Tendring' is a vague statement to make, at this stage, when there is potentially so much work still to do. It gives the general impression things are going well, and people can sit back and relax! Does it mean 'well-received' by Colchester and Tendring Councils, or the residents of those areas? Have the planning departments officially received it well? The proposals by Tendring and Colchester Councils are still in their early stages, but I think the newsletter should have directly given a 'ready for action' call to residents of Greenstead and Longridge Park, describing what they may need to do, rather than just online contact details. Given the number of new houses these councils need to build, it is likely that action will be needed! There are two public consultations scheduled for next year regarding the new Tendring District Local Plan, but these are not mentioned. Colchester Council will also have public consultations regarding the new review of the Colchester Local Plan. I think it is vital that as many people as possible object during these public consultations, if necessary, so I think they should have been mentioned. The Lib Dems seem to be saying 'look at what we have done', when actually 'what you may need to do' directly in the newsletter is needed as well. 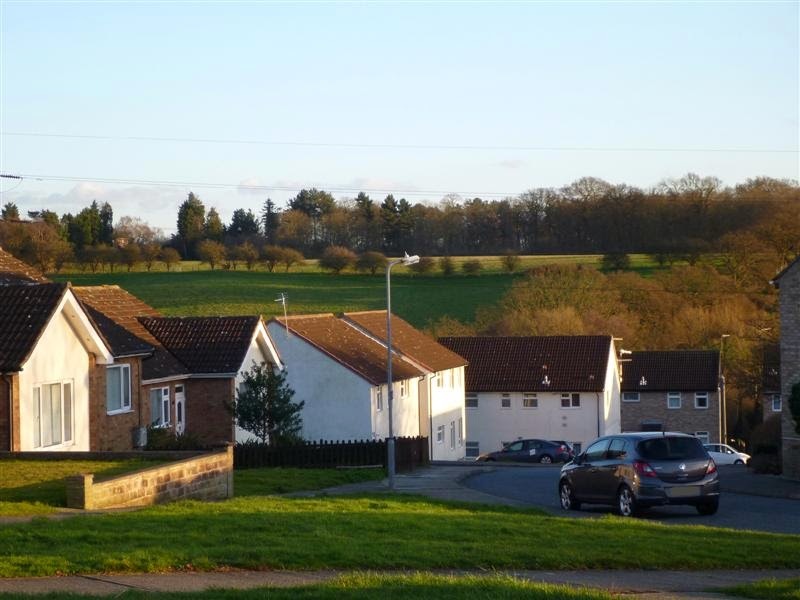 The term 'Salary Brook Valley' or whatever term is used in objections needs to be precisely defined, maybe more in line with the title of this blog, at the top of this page. The definition should clearly exclude all unwanted development - for example, the possible development around Churn Wood is very close to Colchester, but is not technically in the 'Salary Brook Valley' according to Bing Maps. The newsletter does not mention the possible link road between the A133 and the A120. This new road would ideally be much further away from current built-up areas than any new development of houses or buildings. This post updated: 15,16,17 August 2014. 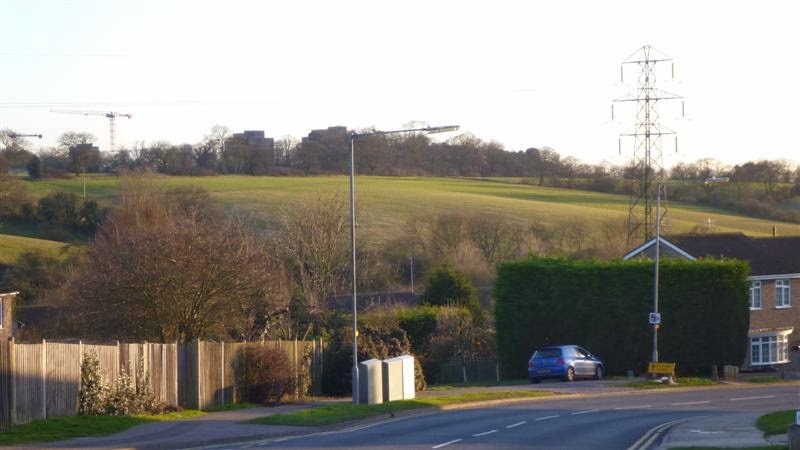 Since the main thrust of the CHEAG objection to Tendring Council's proposals concerns 'valued landscape views' (see below), I think it would help for any future stage of the campaign to gather as many photographs of these views, from as many people as possible. I think even just one photograph per person would make a real difference to the campaign. Any other ideas about future objections to the Colchester Fringe proposals are also welcome, please send to me by email or add comments to this blog post. We will have to wait to see when is the next opportunity to object to the proposals, but photos I could gather on this blog or on another photo site in anticipation. Please email any photographs to me, there is an email button available from the 'View my complete profile' link under 'About Me' on this interent page. Please include the following information, editing the areas in square brackets to add/remove information as you see fit. Attached are photographs of views across the proposed 'Colchester Fringe' development area defined in Tendring District Council's proposals. These photographs are of landscape views I value as a resident of [your home area]. [Photograph filename b] - ... etc. I hereby give you permission to publish these photographs on the internet, and to send them to Tendring or Colchester Councils.You can also store the personal details I have provided to you on your computer(s), provided you take reasonable steps to keep them secure, and you can send them to Tendring or Colchester Councils with my photographs. 2) Right-click the location the photo was taken from. The latitude and longitude co-ordinates are shown. The public consultation by Tendring Council ended on 17th February 2014. Thanks to everyone who emailed me, and well-done to everyone who contacted Tendring Council. Especially well-done to Joe with his petition of getting on for 120 signatures! The print version of that article invites letters to the paper, so please write or suggest more articles. Please check back here soon for a full post-17th February summary. There are plans for a Facebook page and Twitter account - these would be used to give updates and as part of any future campaigning, alongside this blog page. Colchester Council have considered the Tendring Council proposals, links to relevant documents below. Last update: 9th February 2014 - this may be the last significant update before the 17th February, 5pm deadline. Minor updates: 13th February 2014, 6th March 2014. The proposal is for up to 4,000 homes and a link road on the fields to the east of Greenstead and Longridge Park. The home building is proposed to start in 2024, but the link road would come first. Work could be brought forward under certain circumstances. More details can be found in the Tendring Council documents I have linked-to below. These proposals for the 'Colchester Fringe' are part of the Tendring Council Local Plan Review, the public consultation for which ends on 17th February 2014 at 5pm, so comments must be submitted by then. Anyone can object to, or support, the proposals, not just Tendring-area residents. I am a member of the public who has views on these proposals. Please tell as many people about this is as possible, I have not sent information to everyone in affected areas, by any means. Tendring Council are only creating limited publicity. If you want to email me, please click to add a comment at the bottom of the page, and my email address will be shown (at the end, after the comment box). Comments to Tendring Council at this stage can only be within a set of well-defined areas and should either object to, or support the proposals. See the link to 'Major Changes to the Written Statement' below - that document has a detailed discussion. I will wait for comments added below on this blog. Once I read peoples' comments I may update this page. My current thinking is to write to Tendring Council as below. If you agree with me, please do the same. You could wait until fairly near the 17th February 2014, 5pm deadline, because I may have updated this page with other peoples' ideas - please check back! Paragraph 109 of the National Planning Policy Framework mentioned below talks about 'protecting and enhancing valued landscapes', so to prove the landscape is valued, the more people who write to the council as below, the better! Colchester is not inside any Green Belt, but the National Planning Policy Framework wording still provides protection, in my view. For anyone interested, the first part of the objection below is adapted from the text of Appeal Ref APP/J1535/A/13/2201035 from The Planning Inspectorate, Point 16, regarding a separate planning application elsewhere in Essex. If you agree with the following, send it by letter or email, as described in the 'Major Changes to the Written Statement' link below. You may want to ask the council for acknowledgement of your comment, and for it to be displayed on the Internet. If you send me an email (as described above), I will email you a template email/letter to use. Tendring Council, by introducing a significant amount of residential or other development into the countryside in the 'Colchester Fringe' area, would materially harm the character and appearance of the rural area contrary to the objectives of national policy (National Planning Policy Framework, 2012, paragraph 17, 5th bullet point; paragraph 109; and paragraph 81 is also related, although paragraph 81 is specific to Green Belts). This may also contravene local planning policy. 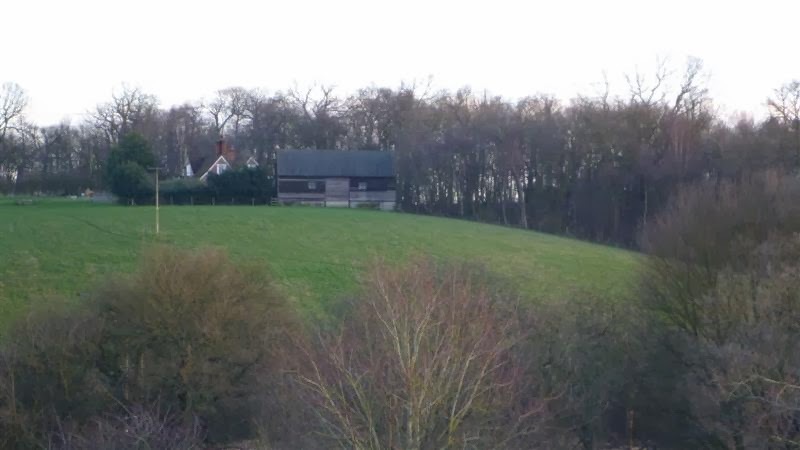 For these reasons, as a minimum area, the sloping land east up from Salary Brook, running roughly from the A133 to Home Wood to Churn Wood (in other words from Salary Brook up the slope to nearly Slough Lane/Chapel Lane/Wivenhoe Road), should be kept completely green, as a nature reserve/amenity area. This would maintain the well-used countryside amenity area and views, and tie-in with the current smaller nature reserve designations around Salary Brook. 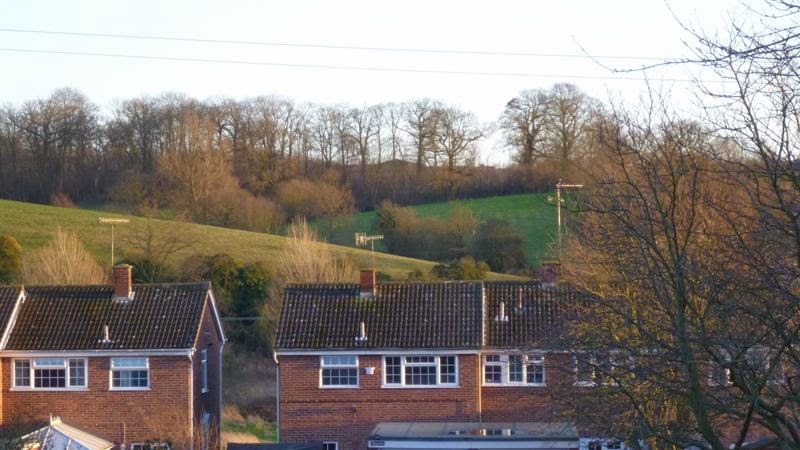 Attached are eight photos showing valued landscape views of this sloping area from within Greenstead and Longridge. These views are needed to prevent an overly-urban environment, and should be protected as described in the National Planning Policy Framework. Overall traffic in Colchester, even after the link road is built. There is currently a great deal of congestion. The possibility of serious flooding from Salary Brook, if too many houses are built around the brook area. Noise from traffic on the link road, which should be kept to a minimum. Perhaps the new road should be in a tunnel or cutting. Public transport, possibly Hythe station, including parking, should be enhanced. Adequate schools will need funding. 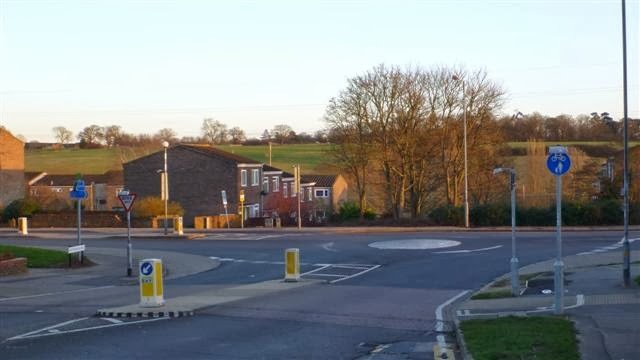 Greenstead and Longridge are already huge housing estates, the above green area should be kept as a buffer to prevent creating an enormous urban sprawl." 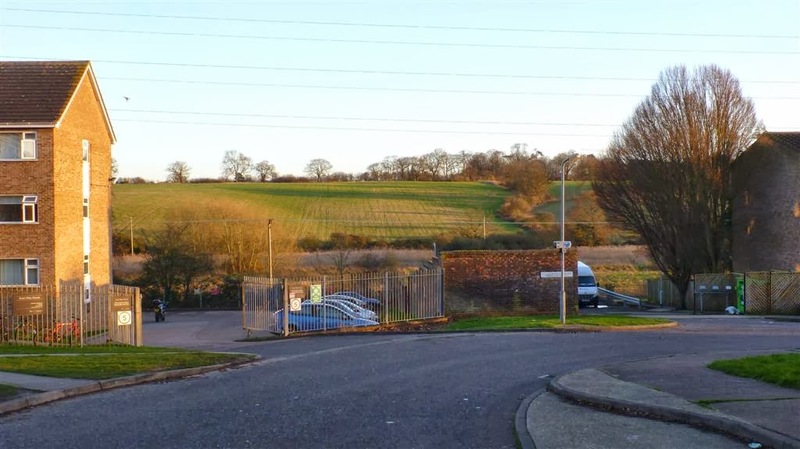 The following documents from Tendring Council include details about the plans for the fields to the east of Longridge Park and Greenstead, the 'Colchester Fringe'. I have listed them in a suggested reading order. If you start by reading just the pages I have listed below, it will probably save you time. Colchester Fringe Map, on Page 92. See section MAJ 2.2 on Page 13 regarding the plans. Pages 2, 3 have a detailed description of how to comment (objecting or supporting). See section on 'Haven Growth Area' starting on page 23, including the map on Page 30. The 'HGA' is also shown on a larger-scale map on page 69. Obviously, this page may change or become unavailable in future, as Tendring Council make updates. The documents linked on this page I found difficult to read, because they are in the form of changes shown to the original planning documents. See sections listed in 'Objection' above.